New Zealand artist Mike Hewson (previously here) is playing with people’s minds again. 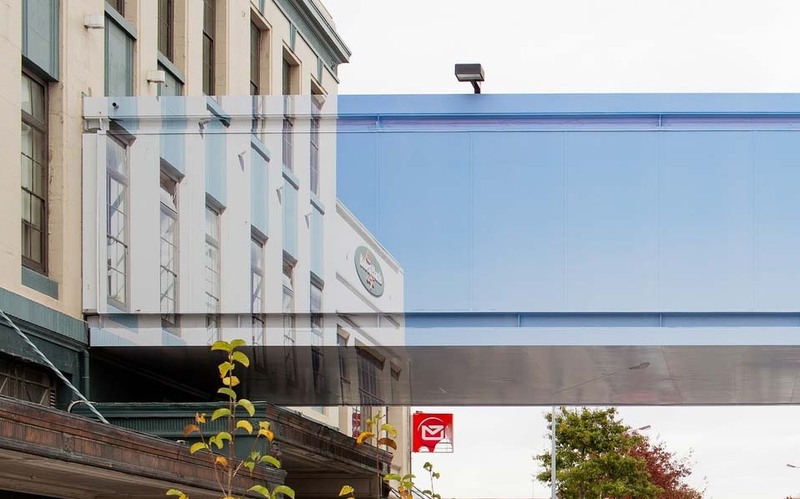 This time the trompe l’oeil specialist has has covered an elevated walkway in Christchurch, NZ over its main thoroughfare, Colombo Street, with anamorphic large-scale digital prints of the two buildings connected by the walkway. When standing at a particular vantage point on the street below, the art visually deletes the overpass. When viewed from other spots the work looks distorted. 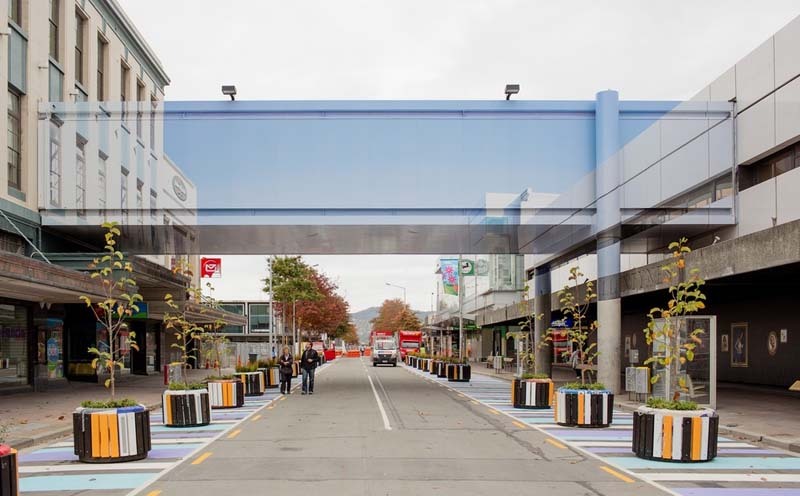 Hewson’s objective in this post-earthquake affected area is to paradoxically reconstruct the site through a process of deconstruction, reflecting Christchurch’s recovery process of adding new development through the “deletion” of crumbled buildings. This entry was posted in Architecture, Art, Just Plain Cool, Street Art, Stuff We Like. Bookmark the permalink. wow, amazing. When i saw the first image i didnt understand what the effect was. I know there was something strange on the image, but i didnt realized it. I needed to see the other pictures to understand the effect.